. "Toronto Feature: Royal Alexandra Theatre". The Canadian Encyclopedia, 02 July 2015, Historica Canada. 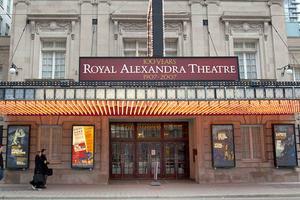 https://www.thecanadianencyclopedia.ca/en/article/toronto-feature-royal-alexandra-theatre. Accessed 20 April 2019. 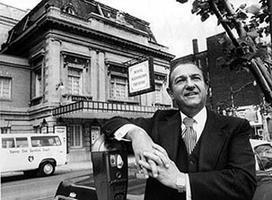 Proprietor Ed Mirvish outside the Royal Alexandra, circa 1980s (courtesy Toronto Star). 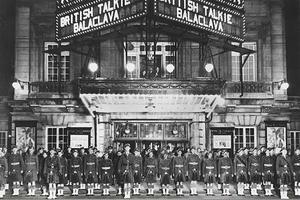 Soldiers pose outside the Royal Alexandra Theatre, circa 1930 (courtesy City of Toronto Archives/Fonds 1244, Item 1003). Royal Alexandra Theatre, 2012 (photo \u00a9 by James Marsh). "Only Remaining Legitimately 'Royal' Theatre"
The Beaux-Arts theatre's namesake isn't a simple affectation toward British monarchy: upon its opening in 1907, it was given its royal designation by King Edward VII in honour of Queen Alexandra, making it the only remaining legitimate "royal" theatre in North America. But its proscenium-flanked stage would be graced by royalty of another kind - those in show business. The playbills of the Royal Alexandra Theatre featured the names of the Barrymores, Paul Robeson, Fanny Brice, Mae West, among hundreds more. Others, such as Al Jolson, made regular appearances from the 1910s to the 1940s, cavorting up and down a makeshift runway and calling Toronto his second home. By the 1960s, the theatre was struggling, and it was put up for sale, and likely demolition. Ed Mirvish, a businessman who knew a good deal when he saw one and whose wife, Anne, loved the theatre, became its unlikely saviour. 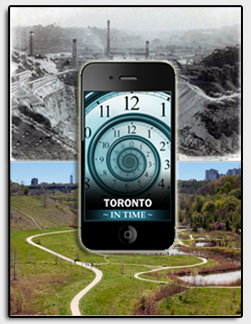 The revived Royal Alex anchored the birth of what is now Toronto's entertainment district. In tandem, the theatre began the rise of the Mirvish family, including Ed's son David, to the pinnacle of Toronto's theatre world.